Heyho Pirates like to roll! 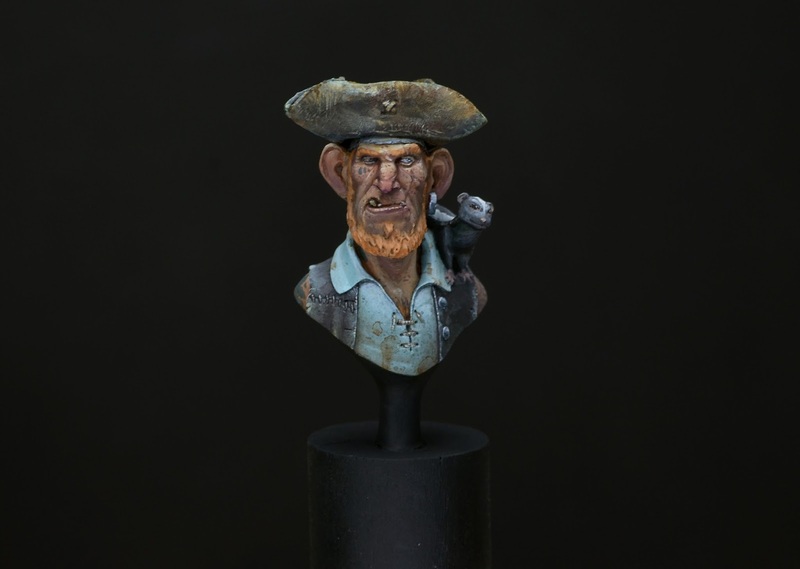 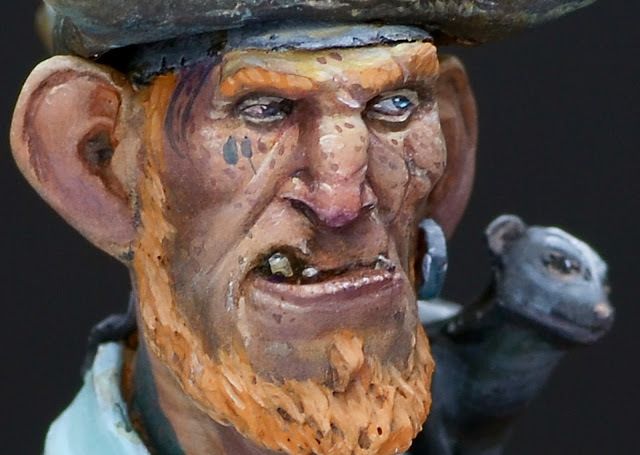 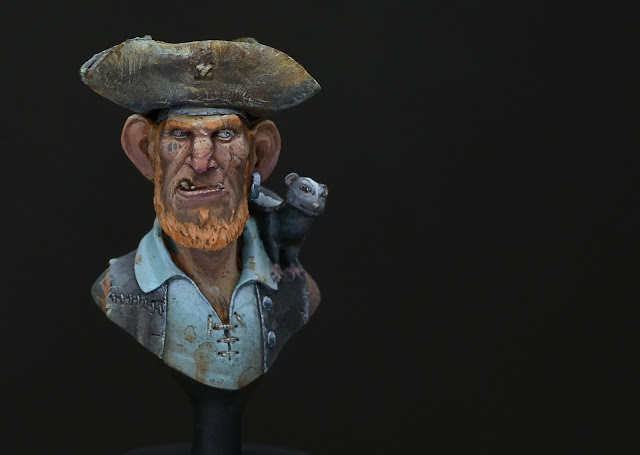 This small bust is truely lovely to paint. This one was painted by Roman and Raffa during their recent BÄM² weekend class for explanation purposes. 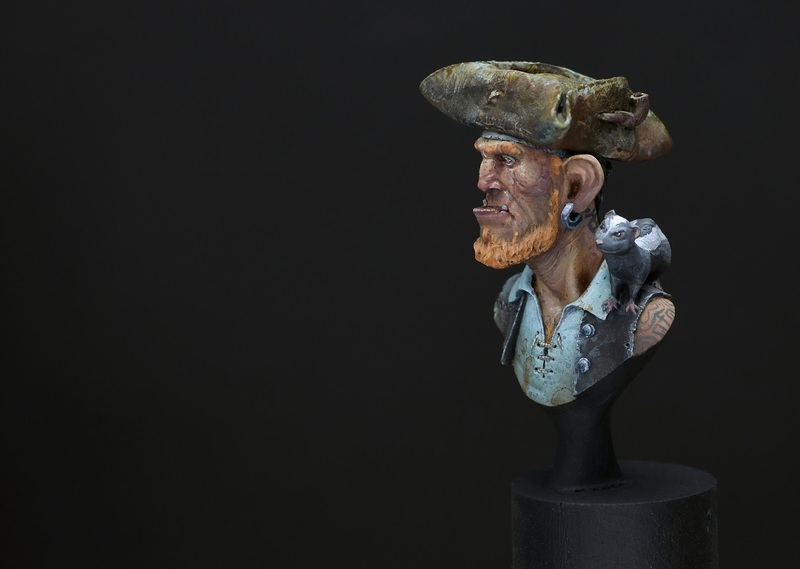 A true teamwork. 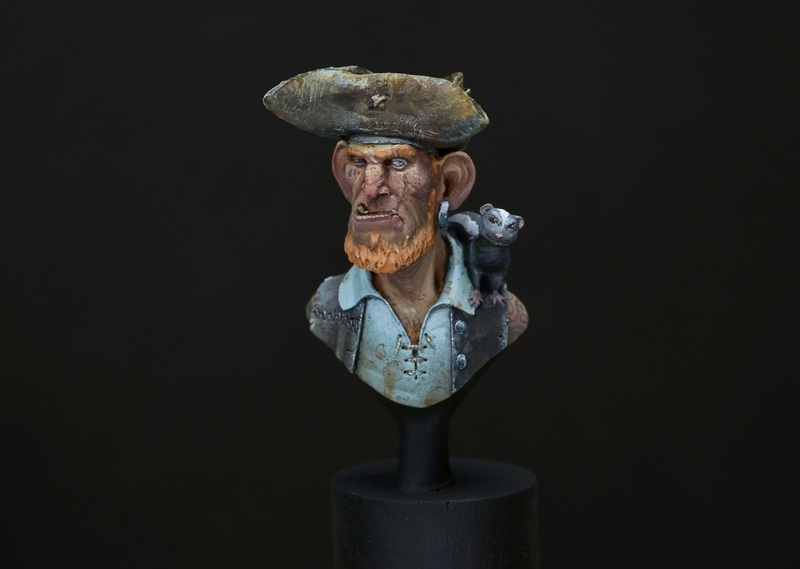 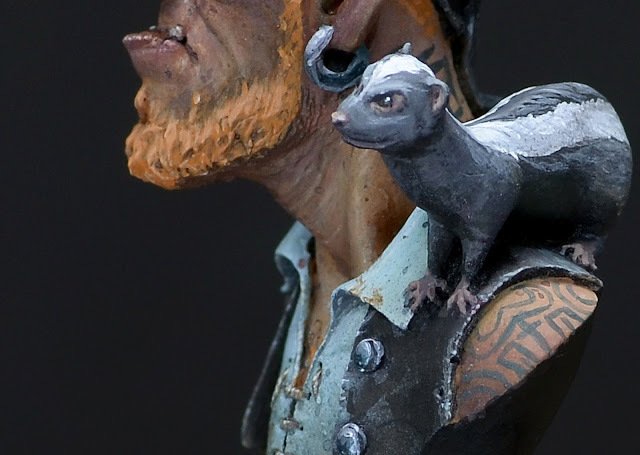 The Ferret is just such a lovely detail on this bust and it brings in tons of character to both of them. They did paint this one as a skunk. Smelly character.